Torrenting and P2P file sharing has become very popular these days. Many people download free music, movies, ebooks and other stuff from the Internet via torrenting without knowing their activities and identity can be easily tracked. In this article, we discuss why using VPN is important for torrenting and P2P file sharing. We will also recommend the best VPNs for torrenting and P2P file sharing based on our VPN testings. Torrenting, as a technology, is not illegal in most countries. However, it’s well-known that many copyright materials, such as the latest Hollywood movies, are available on public torrent sites. Sharing and downloading copyrighted materials can get you into troubles or even legal problems. When torrenting, your activities can be easily tracked. Both your ISP (Internet Service Provider) and your torrent software can track your IP address and know what files you have downloaded. You are far from being anonymous. Also, due to the nature of P2P file sharing and torrenting, your computer will be connected to other people’s computer in order to download and share files. As a result, your IP address can be seen by other people on the same network. A hacker might be able to take advantage of this situation to hack into your computer to steal valuable information. Your ISP might not care what you’re downloading via BitTorrent, but most ISPs are concerned with how much bandwidth you are using. When you are torrenting, your computer might use a lot of bandwidth. Therefore, many ISPs will throttle your BitTorrent traffic. In other words, If your ISP detects you’re torrenting, it might slow down your traffic and make your downloading process really slow and painful. When you use a VPN, you are essentially funneling all Internet traffic through one of your VPN provider’s servers. In this way, your real IP address will no longer be exposed. Your Internet traffic will be associated with an IP address that belongs to you VPN provider, not yours. As a result, if there’s any torrent traffic tracking, your real IP address will not be tracked any more and you will stay anonymous while torrenting. A good VPN service can encrypt your torrent traffic from end to end, making it impossible for your ISP to find out that you’re torrenting. As a result, your ISP won’t be able to throttle your Internet speed because there’s no sign showing your traffic is used for torrenting. Personally I’ve seen this happening many times, especially in hotels. Many times when I was staying in a hotel and trying to download some files using BitTorrent, the normal speed was terrible. However, once I turned on my VPN and tried it again, I was able to finish the download much faster. 1. Does this VPN allow torrenting and P2P file sharing? Many VPN services don’t allow this kind of traffic at all. Some VPN services allow it on a limited number of servers. On the other hand, some VPN services not only allows it but also offers optimized servers for torrenting and P2P file sharing. 2. Does this VPN log your Internet activities? 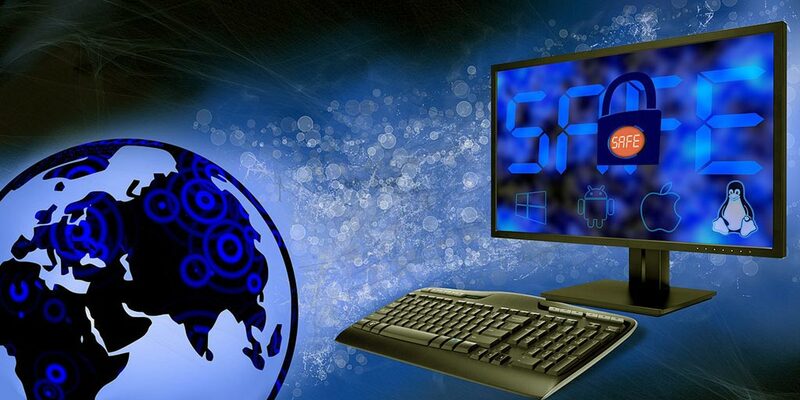 Many VPN services maintain a log of your Internet activities while using their VPN. Many other VPN providers clearly mention that they don’t keep any user logs. To enjoy true privacy, you should pick a VPN that doesn’t keep logs. 3. Does this VPN offer DNS leak protection and IPV6 leak protection? Some ISPs might use advanced tracking techniques such as DNS tracking to spy on you. VPN features such as DNS leak protection and IPV6 leak protection can be used to prevent you from getting spied on. 4. Does this VPN offer a Kill Switch option? If for some reasons your VPN connection is lost while you are torrenting, your IP and activity will be exposed. Many VPN services offer an option called Kill Switch to prevent this from happening. If the Kill Switch is turned on, your internet connection will be automatically disconnected if your VPN connection gets lost to prevent unwanted IP exposure. Torrenting and P2P file sharing allowed. VPN servers in 87 countries. Price starts from $8.32/mo. 30-day money-back guarantee. VPN servers in 141 countries. Price starts from $4.92/mo. 7-day money-back guarantee. VPN servers in 100+ countries. Price starts from $3/mo. 7-day money-back guarantee. Although torrenting and P2P file sharing are not illegal in most countries, there are still some common problems for doing it without protection. These problems include legal issues, privacy and online security considerations, ISP throttling etc. Using a VPN while torrenting can make your activities anonymous and save you from these troubles. When choosing a VPN for torrenting and P2P file sharing, you should pay attention to VPN features such as whether torrenting is allowed, whether your activities are logged, whether DNS leak protection, IPV6 leak protection and Kill Switch are available. With a good VPN, you should be able to enjoy torrenting, P2P file sharing and online anonymity at the same time.